By now, you might already have an idea about an order, which sent by the customer to the seller requesting for certain goods and services offered by the seller. In response, the seller would provide a list of the items on the order including their prices and important details. 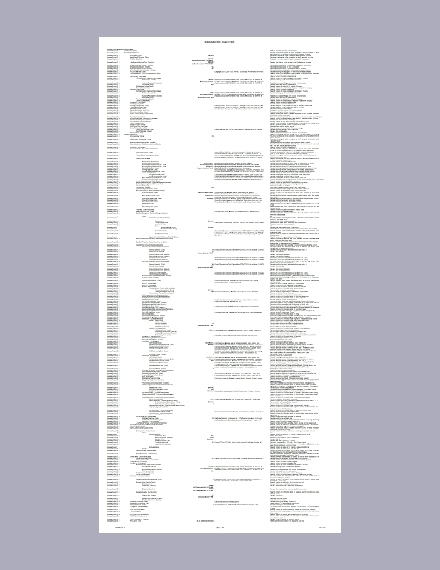 This list is simply known as a quotation. Aside from the prices of each of the items ordered, it also provides information regarding the terms of sale, payment, and warranties. 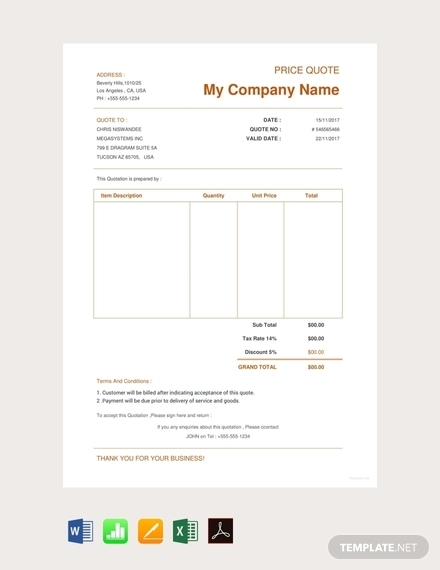 Moreover, a quotation form will also help in promoting the brand of the company. Through the logo and other branding elements incorporated in your quotation, you can increase people’s awareness regarding your products and services as well as your company. How can I make a good quotation? 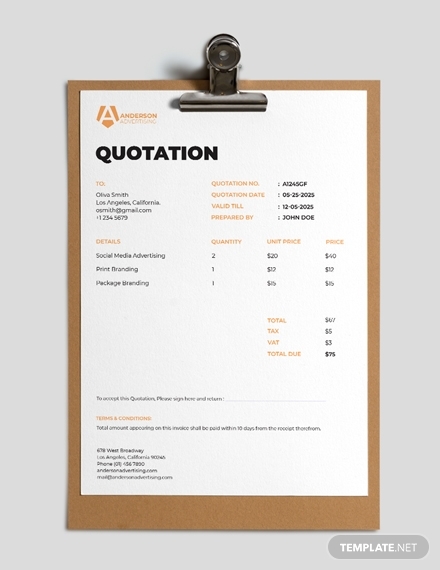 Here are quotation templates and examples as well as discussions about quotations that will surely help you get started. 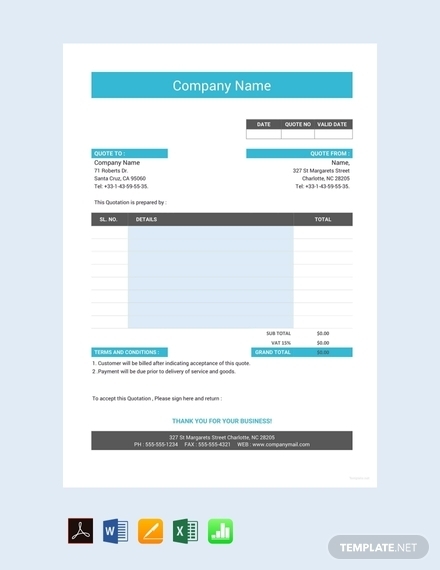 Company information: So that people will be aware who are they dealing with, it is important that you include in your quotation the information about your company. This information includes, but is not limited to the company name, business address, and contact information. Key dates: The key deal dates refer to the dates in the quotation that the customer must be aware of which include the service start date, the validity period, and the date of the issuance of the quotation. Shipping information: This pertains to the shipping information of the buyer where you send the goods in case of product orders. 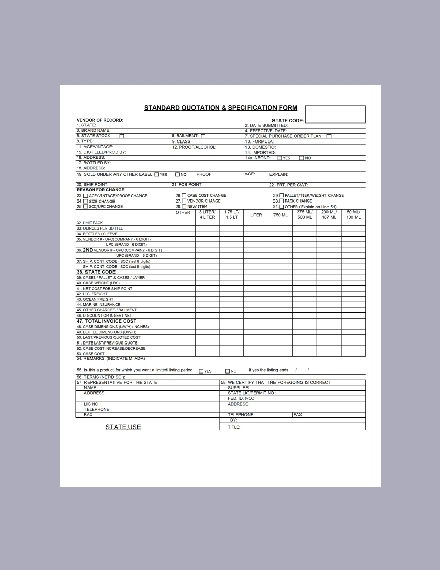 A complete shipping detail must include the customer’s full name, home or business address, and contact information. Modes of payment: The modes of payment, or methods of payment, must also be specifically stated in the quotation. You must present to the customer the available options or the methods of payment that is accepted in your company, such as through cash, check, debit card, credit card, money transfer, or online transfer. Salesperson information: It is also important that you include in your quotation the salesperson who is handling the transaction so that the customer will know whom to contact in case of questions, comments, and other concerns. The salesperson information must include the complete name of the salesperson and his or her contact details, such as the person’s phone number or email. Product information: The complete information of the product must be clearly specified in the quotation which includes the name or brand of the product, price per item, quantity ordered, and net price per product. 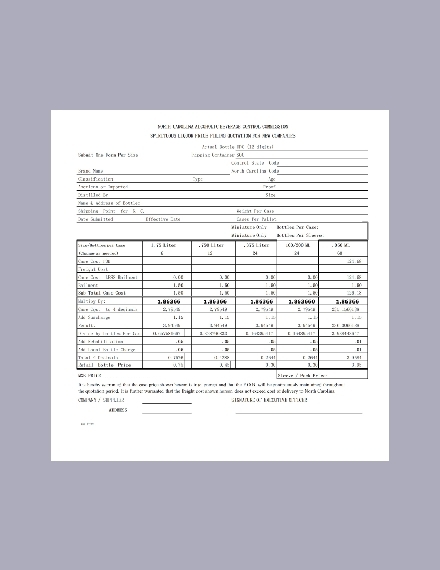 You may also specify the volume or weight of the product in the quotation. Totals: This refers to the subtotal and the grand total of the items listed in the quotation. The subtotal is the total amount of all the product net price, while the grand total is the total amount arrived after adding taxes, insurance, and other fees related to the transaction and deducting related discounts. 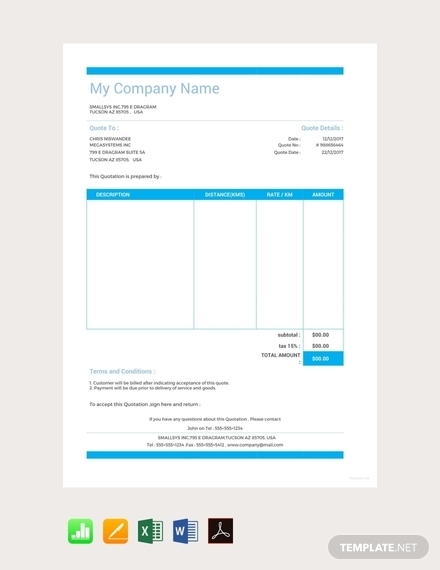 Notes and terms and conditions: The terms and conditions of the transaction must be stated in the quotation along with the notes from the seller to the customer. You can write in the notes the account number of the seller in case the buyer opt for an online transfer payment. 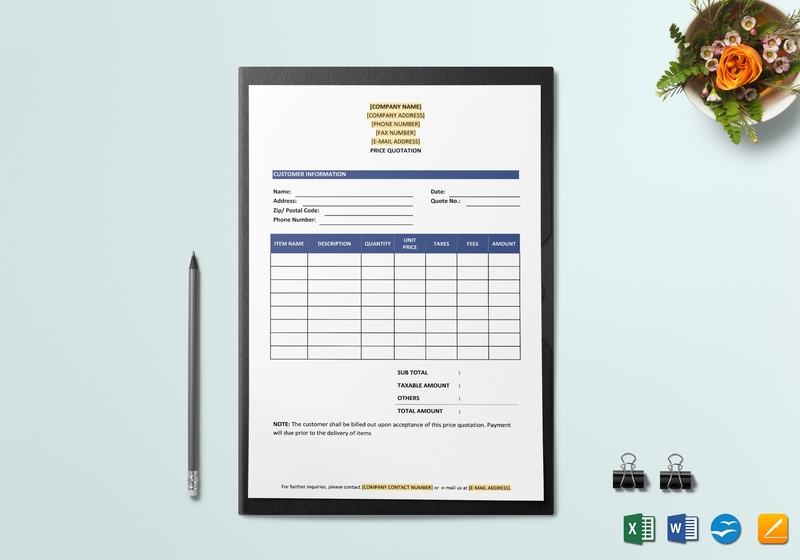 Signature: Lastly, the salesperson handling the transaction must affix his or her signature usually at the bottom of the page of the quotation acknowledging his or her responsibility for the transaction and certifying that the quotation is indeed prepared by the company. COD price quotation: COD or cash on delivery price quotation means that the buyer will pay for his or her orders only after receiving them. FOR price quotation: FOR or free on rail price quotation means that buyer must pay for the freight and loading and unloading expenses in carrying the goods to the nearest railway station. 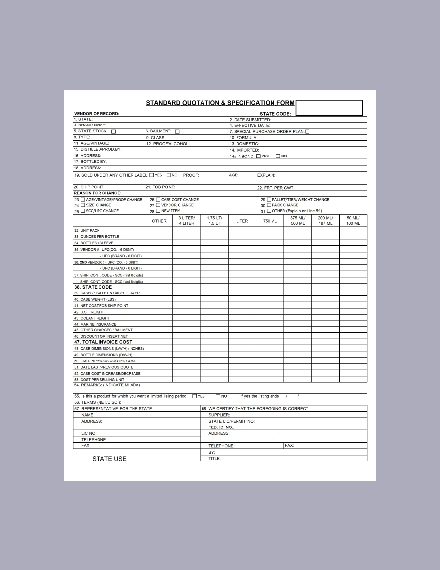 FOB price quotation: FOB or free on board price quotation refers to the arrangement where the buyer must shoulder the freight and insurance after boarding the goods on the ship. 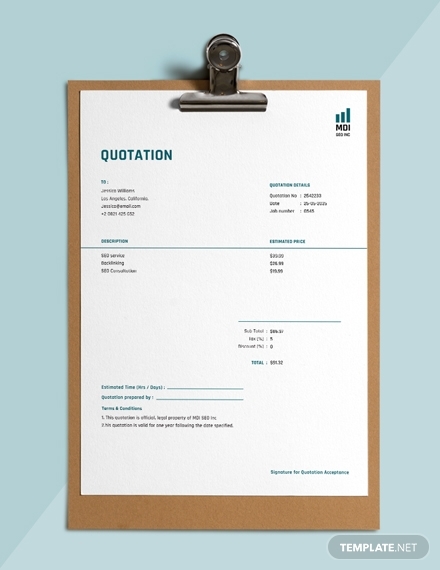 CIF price quotation: CIF or cost insurance and freight price quotation means that the seller must shoulder the payment for the cost of the insurance and freight of the products. 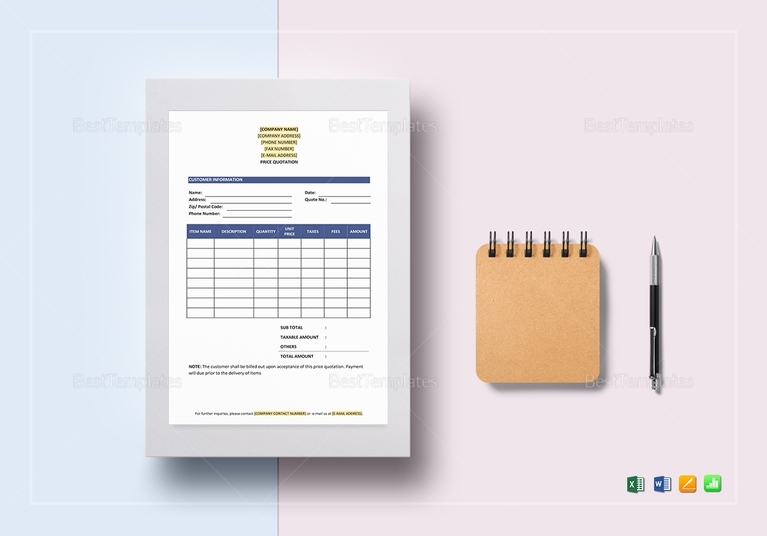 FAS price quotation: FAS or free alongside ship means that the seller must shoulder the expenses from the seller’s go down to the ship, while the buyer must pay the expenses from the ship to the buyer’s go down. 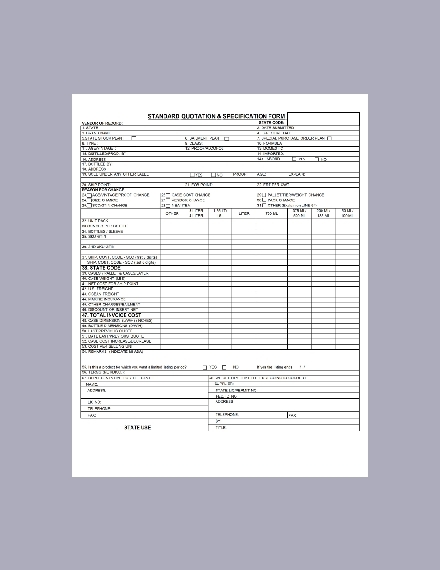 Loco price quotation: In this type of quotation, the buyer must pay the expenses related to the carrying of the goods from the seller’s location to the buyer’s place. Franco quotation: In Franco quotation, the seller must bear all the expenses related to the transferring of goods to the buyer’s location. 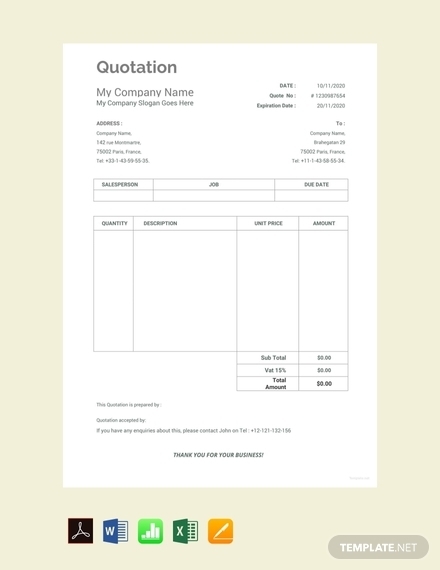 What is the role of an order, a quote, an invoice, and a receipt in a sales transaction? An order is sent by the customer to the seller requesting for certain goods and services. 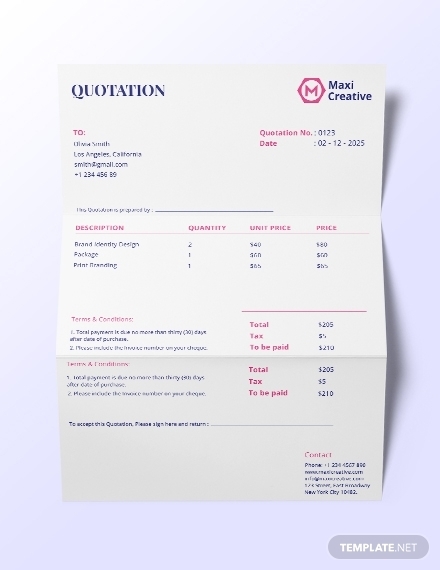 A quote, or quotation, is sent by the seller to the buyer in response to the order. After the buyer confirms the quotation proposal, an invoice will be sent by the seller to the buyer detailing the items availed of by the buyer and requesting for payment of those items. Lastly, a receipt is issued after the payment and marks the completion of the transaction. What is the difference between a quotation and an estimate? 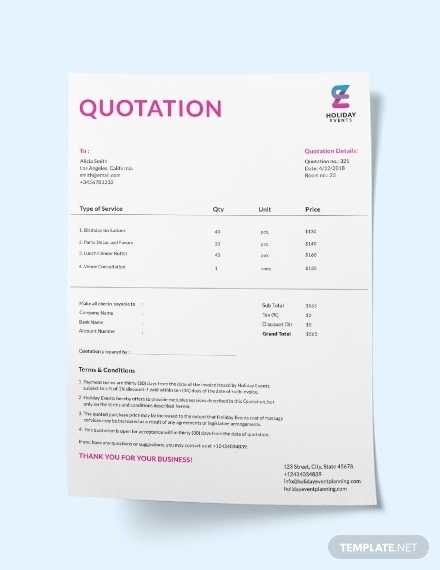 A quotation is a fixed price offer that cannot be changed when the customer accepted and confirmed the quotation. On the other hand, an estimate is an educated guess of the cost of the job or service which accounts for possible unforeseen developments and considers that the price may change.